If you have a question or comment, please call our office at (805) 845-9630. Thank you for contacting Adams Law regarding your legal claims or questions. We value each potential client who contacts us and will make arrangements to meet or speak with you when convenient, including Saturdays. Please be advised, however, that Adams Law is not your legal counsel until there is a signed fee agreement in place between you and the firm. 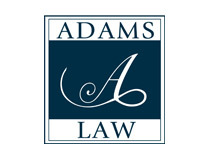 Adams Law proudly represents clients along California’s Central Coast.